Every November since 1994, Hope Lutheran Church hosts a Turkey Supper for the community. The meal includes turkey, dressing, mashed potatoes, corn, green beans, coleslaw, cranberry sauce, dessert and beverages. 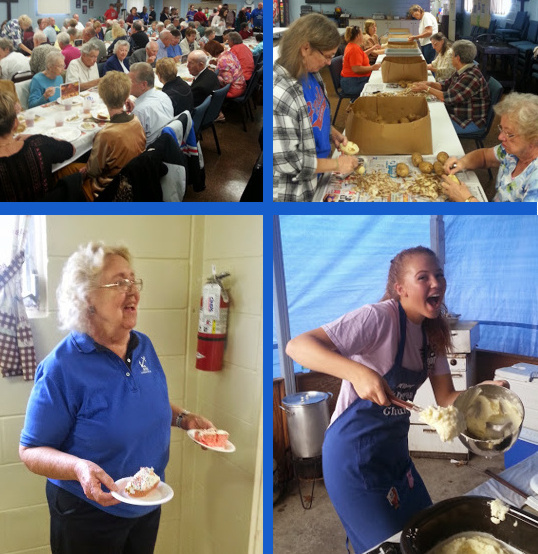 Young and old alike come together to prepare and serve the meal - and to eat! All proceeds are used to benefit the community.